The researchers also hoped that the technology would one day be able to do the same for extremely premature babies. Findings published last week in the American Journal of Obstetrics & Gynaecology, have shown that preterm lambs were successfully maintained in a healthy, infection-free condition with significant growth, for a period of one week using ex-vivo uterine environment (EVE) therapy. Kemp further said: “By providing an alternative means of gas exchange for the foetus, we hoped to spare the extremely preterm cardiopul-monary system from ventilation-derived injury, and save the lives of those babies whose lungs are too immature to breathe properly. 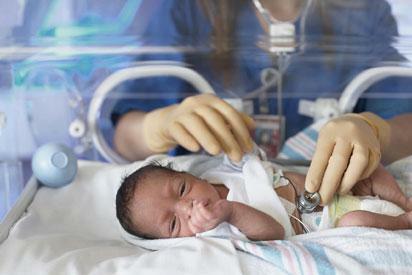 The post Artificial womb raises hope for premature babies appeared first on Vanguard News.